We celebrate our children’s milestones and share what’s made us proud. We do this on the 21st to represent the three copies of chromosome 21 present in Down’s syndrome.And there’s no such thing as an achievement too small. I wanted to lend my support to awareness week this year, but wasn’t sure how. Then a little incident in the supermarket got me thinking and I wanted to show that people with Down’s Syndrome – or any disability – are a person first. They have likes, dislikes, strengths, character, personality, feelings and they make a positive contribution to their local communities and to society as a whole. Person first language is very important and I desperately want people to see Ella as a little girl, a sister, daughter, friend, mischief-maker, bookworm, the list is endless – she is a million and one things before she is a child with a disability. A diagnosis, whatever that may be does not define who someone is or what they are able to do. My way of lending support was to share a little of who Ella is. In the days leading up to March 21st I shared a photo a day on the blogs facebook page. Ella and Lucy in the trolley. The lady was very well meaning, I get that, but she saw Ella and immediately put her in a box. She made assumptions based on her experience and understanding and it made me sad. Sad that she never asked Ella’s name and that she referred to her as ‘they’. I firstly wanted to invite her round at bedtime/teatime/anytime things aren’t going Ella’s way – because like every other child she has a whole range of emotions that she cycles through on a daily basis. She is not just stuck permanently on ‘happy’. Down’s syndrome is and always will be a big part of who Ella is. But I have always been determined that Down’s syndrome will not define who she is. Your fierce determined & independent streak, caring nature and eager desire to learn – all balanced nicely by your contagious sense of fun and a generous sprinkling of eye twinkles and cheekiness. Ella. A sister and a role model. Lucy is most certainly learning from her big sisters determined/stubborn ways and her cheekiness! We’ve read books to Ella since she was about 4 months old. We still do a book every night before bed and it’s still one of my favourite times of the day. Her favourites at the moment include ‘Wendy the wide mouthed frog’, The Tale of Peter Rabbit, a find the item picture book or her book about nature and the seasons. All children learn so much from books and reading is something I’ve always enjoyed from being a small child. It’s lovely to share stories and books, both new and old with both my girls. Even better that they enjoy them and will quietly entertain themselves with a story (now and again!). People who have Down’s syndrome are visual learners. That is why Makaton sign language is so effective – it provides a visual component for learning words, language and communication. It’s also true that Ella learns by doing (as do I) and she loves activities such as play dough, baking, sticking, cutting and drawing. For Ella, drawing is a particular favourite – so much so that I need a bag to take home all her creations at the end of her day at nursery! Almost half of all baby’s born with Down’s Syndrome have an associated heart defect. Ella was born with a large ventricular septal defect (VSD) and also had a hole after her fetal circulation didn’t close properly after birth called a Patent Ductus Arteriosus. Both her holes were successfully closed when she was 5 months old at Alder Hey. She remains under the cardiology team at Royal Manchester Children’s Hospital and is now having check ups every 18 months. Handing her over for surgery was the hardest thing we’ve had to do as parents. She was in hospital for 8 days in total and was discharged just 6 days post surgery. We had a lot of feeding problems before her op and although these weren’t magically fixed overnight, we saw an immediate difference in her alertness, her energy levels and her development after her surgery. No introduction needed for today’s picture. We are lucky to have two beautiful little ladies who make us laugh and smile everyday. Happy World Down’s Syndrome Awareness Day 2015! 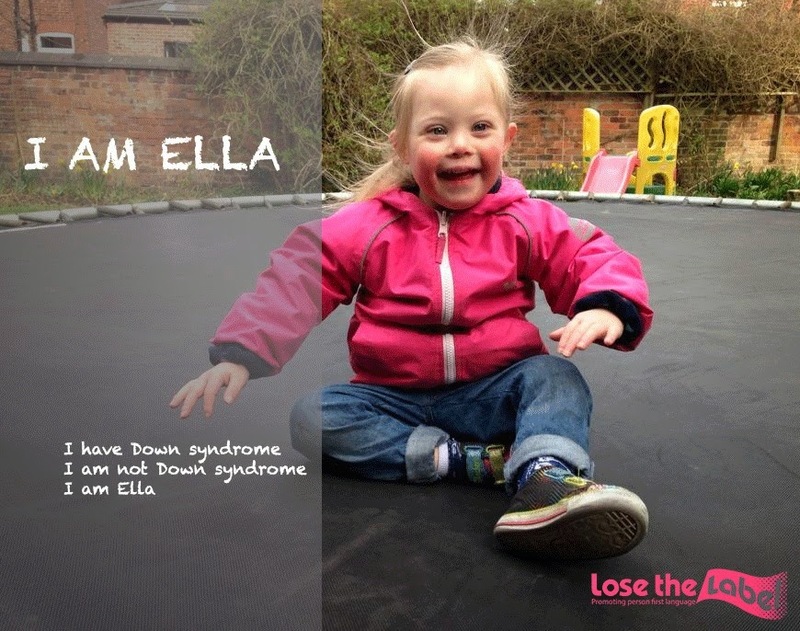 Last year during DS awareness week, Ella was featured in the ‘Lose the Label’ campaign. Stressing the importance of person first language and seeing the person and personality behind a diagnosis, whatever that may be. I am creative, independent, adventurous, a fighter, determined, bookworm, beautiful, feisty, a sister, daughter, friend, helper, love chocolate, hate having my hair brushed, love jumping, dancer, Mr Tumble addict, learner, funny, lovable, whirlwind. Happy World Down’s Syndrome Day! 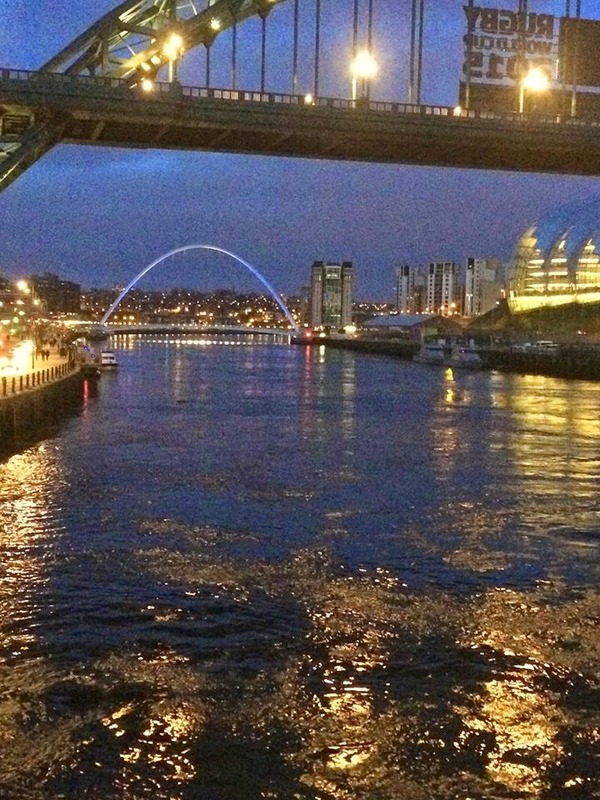 I’ve once again loved the odd sock pictures that have been shared by friends, family and even strangers. It’s such a good feeling to belong to something special, there’s a real sense of global community this year which I’m proud to be a part of today and everyday. Wherever you’ve turned on social media, someone somewhere is sharing, talking about, celebrating Down’s Syndrome and wearing the obligatory odd socks, of course!